We have a few automotive dreams. We’d like to see more true hybrid sports cars. We’d like to see some accessible off-roaders sold Stateside. We’d also love to see the return of the Alfa Romeo Spider. To our shock and amazement, one of those dreams is actually going to be realized. Mazda and Alfa today announced that will team up to build an all-new open-top two-seater sports car. Once you’ve stopped giggling with glee, we’ll give you the facts. The new drop-top sports car will be based on the next generation Mazda MX-5. While each variant will have its own engines and styling, Mazda will build both versions in its Hiroshima plant in Japan for the global market. Both cars will be front-engined, rear-wheel drive, and undoubtedly offered exclusively with a manual transmission. 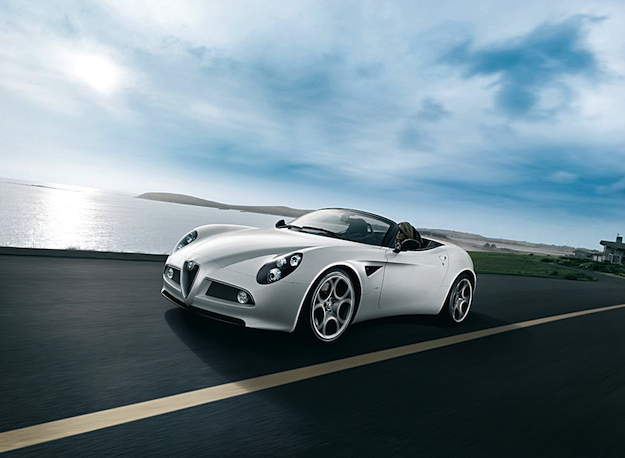 With this new agreement, Alfa aims to re-envision its popular Spider model. And Mazda simply aims to reinvigorate its MX-5. The Mazda and Alfa say production won’t begin until 2015, so we’ve got time to daydream. But what a daydream it is. It’s almost painful to fathom how fantastic a Mazda-built 2016 Alfa Romeo Spider will be; the majesty of an Alfa convertible assembled by the fastidious Japanese. What could go wrong? The two automakers have kept any further details secret like performance, pricing, or in which markets the two vehicles will be sold. As soon as we know more, however, you can be sure we’ll quick to bring them to you.